Our American Network - 3 White Jews...Greatest Rap Group, Ever! 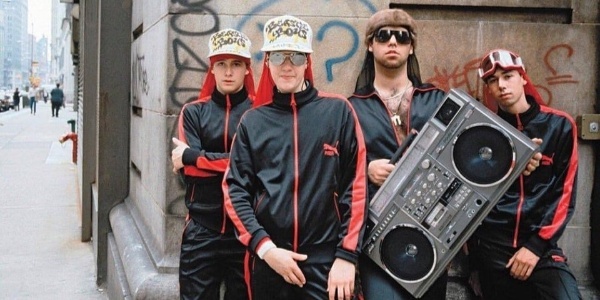 3 White Jews...Greatest Rap Group, Ever! This is a story about the most unlikeliest bands to become (statistically speaking) the greatest rap group in history. [Pic c. 1984 (L to R): Adam "Ad-Rock" Horovitz, Michael "Mike D" Diamond, Rick Rubin, Adam "MCA" Yauch].